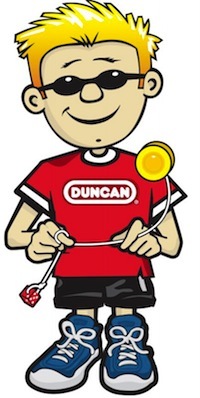 Duncan - Duncan - Let Go! Ready to learn a new style of play?! Counterweight, also known as Freehand, also known as 5A, uses a dice or ball attached to the end of your yo-yo string instead of attaching the string to your finger. This cool style allows you to "let go" completely and perform tricks a completely new way. Make sure you check out the YoYoExpert Counterweight instructional section to learn tricks and for help attaching it to your yo-yo string.